Southern Cross Austereo officially launched PodcastOne Australia in September of 2017. The launch event featured a 20 minute walk through with samples of podcasts that are local to Australia. If you don’t happen to live in Australia, you may not have been aware of PodcastOne Australia launching. It all started in November of 2016, when PodcastOne announced that they had signed a long-term partnership with Southern Cross Austereo (SCA) to launch PodcastOne Australia. SCA will operate PodcastOne Australia as the exclusive partner in Australia and New Zealand with select SCA podcasts made available in the U.S. on the PodcastOne platform. The joint venture between SCA and PodcastOne represents the first international partnership of this magnitude in the commercial podcast industry with the companies together developing and producing content for both the U.S. and Australia. PodcastOne Australia was in beta that ended at the time of the launch. Norman Lear is the producer of TV shows such as “Good Times”, “All in the Family”, “The Jeffersons”, “Maude”, and more. He is also the producer of “The Princess Bride” movie. Norman Lear has now launched his own podcast, which is on PodcastOne. This is an accomplishment that few 94-year-olds can claim. All of the Above with Norman Lear takes listeners on an enlightening ride of conversation, from comedy to family, current events, music, social issues, and more. The show will always feature the unique perspectives of celebrities, politicians and everyday folk. Celebrity guests include Julia Louis Dreyfus, Jerrod Carmichael, Amy Poehler, and more. The podcast released a trailer on May 1, 2017, and has had four episodes since then. The newest one (at the time I am writing this blog) features actresses Lily Tomlin and Jane Fonda. They are there to talk about “Grace and Frankie”, a Netflix original series that is now in its third season. This episode of All of the Above with Norman Lear also includes discussion about how laughter keeps you young, how social media affects activism, and the state of America’s affairs today. New episodes of All of the Above with Norman Lear will be available every Monday on PodcastOne.com, the PodcastOne app, and iTunes. PodcastOne has launched a new program in the Forbes on PodcastOne series. Forbes Sports Money joins Forbes podcasts that had been previously released on PodcastOne this year: The Forbes Interview, Forbes Under 30, and Forbes Lists. Forbes Sports Money is hosted by Forbes Executive Editor, Mike Ozanian. He speaks with team owners, athletes, and industry leaders about the money and enterprise born of supreme athletic competitions. The podcast gives listeners an in-depth look at the business of sport. Mike Ozanian is also a co-host on the TV version of Forbes Sports Money (which is obviously what the podcast was derived from). The TV show is a four-time New York Emmy Award winning television on the YES network. If you like the Forbes Sports Money TV show, it seems very likely that you will also enjoy the podcast. Forbes Sports Money will release a new episode every Thursday. At the time I am posting this blog, Forbes Sports Money has released six episodes (and a trailer). The first episode is titled “Highest-Paid Athletes of All Time”. Host Mike Ozanian is joined by guest Kurt Badenhausen, who is a senior editor at Forbes. The most recent episode is titled “Jeanie Buss: All About The Lakers and Its Legacy”. In that episode, host Mike Ozanian is joined by President and part owner of the Lakers, Jeanie Buss. Forbes has announced that a quartet of Forbes podcasts about business, women and tech will debut on PodcastOne in early October of 2016. 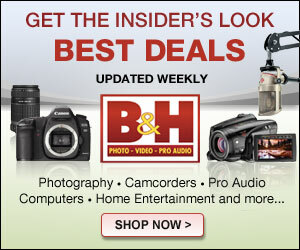 PodcastOne has over 200 podcasts on a wide variety of subjects. AdWeek reported that Forbes had been testing its Women@Forbes podcast series on its own properties for a few months and had decided to ramp up its efforts in podcasting. It appears that Forbes is expecting to see “plenty of ad revenue” from the agreement with PodcastOne. There are a total of four Forbes podcasts that will soon make their debut on PodcastOne. The Limit Does Not Exist is hosted by Cristina Wallace and Cate Scott Campbell. They believe that creativity and STEM can and should hang out together all the time. Why limit yourself to one side of your brain… or one career path? The Limit Does Not Exist includes plenty of guests. Mentoring Moments is hosted by Denise Restauri. The main idea of the podcast is “women you may never meet will be become your mentors”. The show includes stories by women from multiple generations who share their “wow, you need to know this” stories that propelled their careers. The Premise is hosted by Parmy Olson. This podcast is a business leader’s dashboard for what’s next. Each week, Forbes writers and editors explore the technology changes affecting your company, industry, or portfolio. Hiding in the Bathroom is hosted by Morra Aarons-Mele. The show features successful entrepreneurs who share the strategy tips that you won’t learn in business school. This podcast is for entrepreneurs who want to embrace their introverted selves while building strong relationships and achieving success. The agreement maintains PodcastOne and parent company Courtside Entertainment Group’s independent control of all operations, as the network continues to expand its collection of more than 200 top-rated programs, delivering more than 400 million monthly impressions for advertisers. The network features many of America’s most popular podcasts, including Adam Carolla, Shaquille O’Neal, Steve Austin, Dan Patrick, Chris Jericho, Penn Jillette, Nicole ‘Snooki’ Polizzi, Shawn and Larry King, Laura Ingraham, Dr. Drew, TheCHIVE, the newly launched Mark Schlereth podcast, plus WNYC’s Radiolab, Freakonomics and many more. Hubbard Broadcasting operates a variety of media outlets, including radio/TV stations, a satellite TV network called ReelzChannel, and the F&F Productions company. It seems natural that a company this established in traditional media would want to get a piece of the growing new media market. PodcastOne has proven its ability to create shows with big names that generate large audiences. The press release is peppered with the usual corporate-speak of “synergies” and “brand development.” Could this mean some of PodcastOne’s shows will also be heard on terrestrial radio or other outlets controlled by Hubbard? It’s too early on in this partnership to know for sure. But this news, along with last week’s announcement of Scipps buying Midroll proves that legacy media companies are starting to take podcasting seriously. Beware of Podcast Snake Oil Sellers Promising Riches: This is the first post I contributed to the site that really got some attention. During the first quarter of 2014, it seemed like everyone and their other had launched a podcast training course. This post was a word of caution to new podcasters that they should be weary of teachers/consultants who charge high prices with the promise of great “podcasting riches” down the road. 54 Seconds (The Wadsworth Constant): Jackson Rogers wrote about “The Wadsworth Constant,” a kind of law that dictates that the first 30% of any online video can be skipped in order to get to the real content. The Wadsworth Constant applies to more than just video. There’s definitely a lesson here for podcasters, too. A Decade of Podcasting: Podcaster News founder and executive editor Todd Cochrane takes a look back at the first ten years of his podcasting journey. Is Swapping Reviews Hurting Podcasting? : Dave Jackson takes a look at something that’s really turned into a phenomenon over the last year; iTunes review swapping. Dave breaks down what swapping is and offers some commentary on why it’s really not helping anybody. 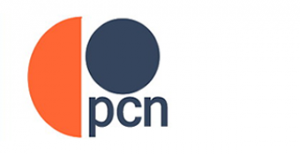 Norm Pattiz of PodcastOne: “We were looking at acquiring Stitcher.” – PCN Show 008: It seemed only fair to include at least one episode of our fledgling Podcaster News Show. This episode turned out to be a real bombshell as I was able to interview Norm Pattiz during last year’s drama between PodcastOne and Stitcher. 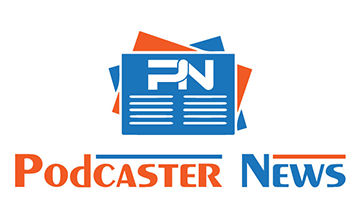 Thanks to all of the readers and contributors here at Podcaster News for making it a spectacular first year! If I missed anything memorable from the last twelve months, let me know in the comments.